Backpacking weight is a big deal to me. When you’re like a hundred pounds, every pound is a whole percentage of your body weight. Every ounce counts. If I’m going to lug around an enormous camera and tripod, I need to shave off ounces everywhere else. For a tiny backpacking stove, the Snow Peak Litemax Stove is perfect. The Litemax stove weighs approximately 1.9 oz; this thing is light and small. The stove is constructed from titanium and anodized aluminum. The arms of the stove fold upon itself and collapses while the control wire tucks away for easy storage. 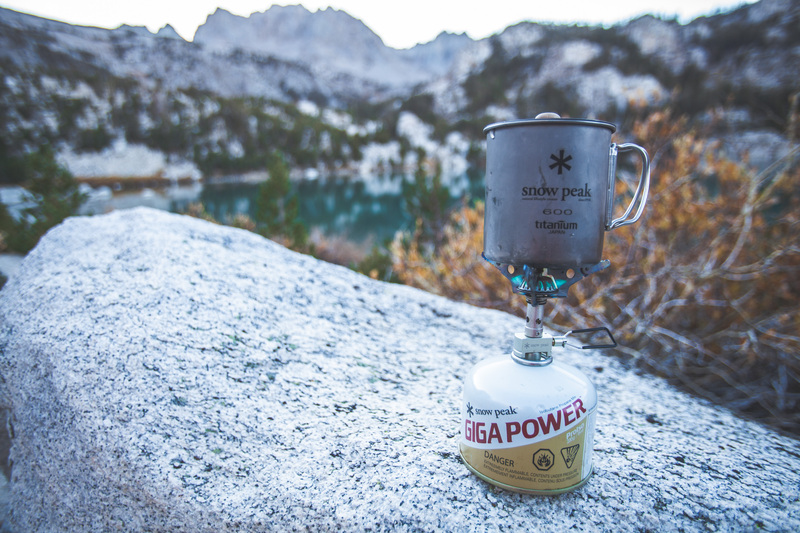 The stove screws onto any isopropane-butane container, but Snow Peak has their proprietary GigaPower gas cans for optimal performance. 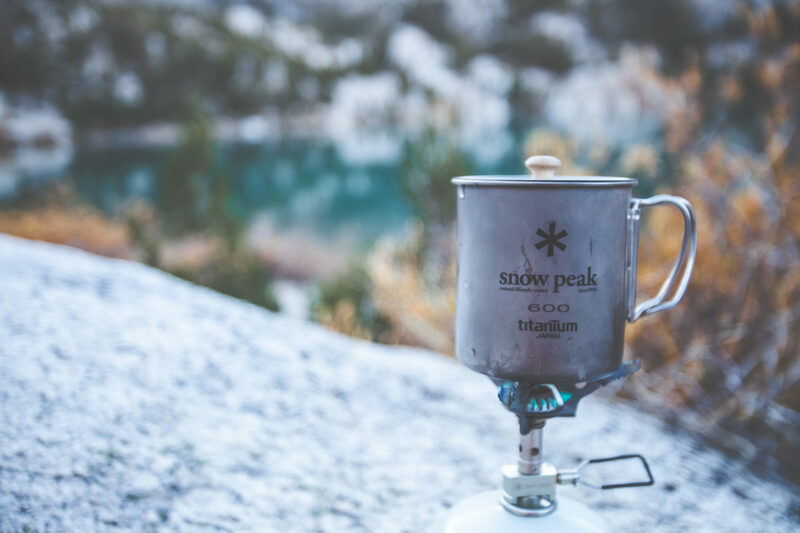 When not in use, the stove tucks away into a Snow Peak Titanium 600 cup, along with their smallest gas can. The Snow Peak Litemax Stove is good for one thing, and one thing alone: boiling water. The stove is not designed for holding large pots or pans; too much weight makes this thing super unstable, even with a solid base. Anything bigger than the Snow Peak Titanium 600 cup, and I’m afraid that the stove will tip over. That being said, it boils water in approximately 5 minutes, depending on altitude, which more than makes up for the lack of capacity. This is a 3 season stove, not designed for snow or winter camping. It’s great for backpacking trips, or days where you just want to add water to a meal and sit. All in all, you can’t really go wrong with it. I have no complaints. Buy through Snow Peak, REI or Amazon for $59.95. I love it. Super tiny and powerful.